The “Intensive Review of Nephrology” course is designed to enhance renal medicine knowledge by offering a comprehensive update; a case-based review of challenging clinical problems; and a review of literature to guide evidence-based practice. This course can also serve to prepare attendees for the ABIM Board Examinations (Certification/Recertification) and offers daily board review question and answer practice sessions in each specialty area of nephrology. This program also consists of daily case-based lectures and case-based luncheons covering the most important topics in renalmedicine. Throughout the course, emphasis is placed onthe practical application of physiological principles to the understanding and management of clinical problems, particularly for board exam preparation. This course is endorsed by the American Society of Transplantation. AST/AJT Journal Club: "Mood, Body Image, Fear of Kidney Failure, Life Satisfaction, and Decisional Stability Following Living Kidney Donation: Findings from the KDOC Study"
AST/AJT Journal Club: "Reproductive Health in Women following Abdominal Organ Transplant"
AST/AJT Journal Club: "Geographic Disparity in Kidney Transplantation under KAS"
AST/AJT Journal Club: "Cell-Free DNA and Active Rejection in Kidney Allografts"
AST/AJT Journal Club: "Regulatory T Cell Migration Is Dependent on Glucokinase-Mediated Glycolysis"
NAT 2015 20th Congress "Infectious disease in transplantation"
Journal Club: "Donor-Specific Antibodies, C4d and Their Relationship With the Prognosis of Transplant Glomerulopathy"
Journal Club: "Memory regulatory T cells reside in human skin"
Multiorgan Transplantation: One Organ Too Many? The AST Career Center is a resource that thrives by connecting organisations seeking to fill positions and transplant professionals searching for career opportunities. 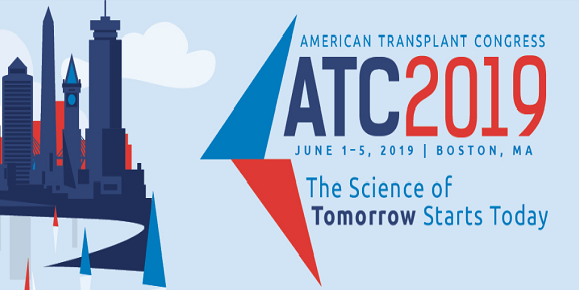 The American Society of Transplantation is dedicated to advancing the field of transplantation and improving patient care by promoting research, education, advocacy, organ donation, and service to the community. Copyright © 2015 American Society of Transplantation. All Rights Reserved. This website redesign was made possible in part by a grant from Alexion.